Renato Gomes de Reis, known in the Capoeira world as "Mestre Torpedo" was introduced to Capoeira in 1980 in Itaguai, Rio de Janeiro. He was walking in the street when he saw a Roda de Capoeira for the first time and was immediately amazed by the show, music and rhythm. Mestre Décio invited him to learn Capoeira, "Aluno Torpedo" was training everyday and was very keen to learn as much as he can of this new found passion in life, called Capoeira. Gradually, he got to know other masters from the same lineage as Mestre Décio, such as Mestre Sarte, Mestre Acro-iris, and others which are all the disciples of Mestre Georio whose in turn was one of Mestre Bimba's disciple. With 2 years experience "Aluno Torpedo' attended a grand Batizado event where every Mestre bring their students, during this event he was rewarded the nickname "Torpedo" due to his swift and precise movement performance. In the age of 14, he was relocated together with his family to Campo Grande where he continued his career in teaching and performing capoeira. Mestre Torpedo started participating in various events in the tourist center of Ilha Grande, Ilha Martins, Ilha das Cabras, and numerous Rodas and Batizados all over Brazil (Roda da Quinta da Boavista, Encontro Itaguai, Roda da Lapa, Roda de Pé, Roda Preto Velho, and many more). In 1992 Mestre Torpedo started his international tour in Spain (Madrid, Tenerife, Canary Island), Argentina, etc with one of the most respected event company in Brazil, Plataforma Uma. This show team was comprised of the highest level performers and Capoeiristas from all of Brazil, selected from hundreds who auditioned. In 1993 Mestre Torpedo started a Capoeira academy in Brazil, he then traveled and continued his career in promoting, teaching and performing Capoeira in Japan for 6 months. In 1999 Mestre Torpedo was awarded the rank of "Mestre". He returned to Brazil in 2004 and travelled throughout Brazil promoting, teaching and conducting events. 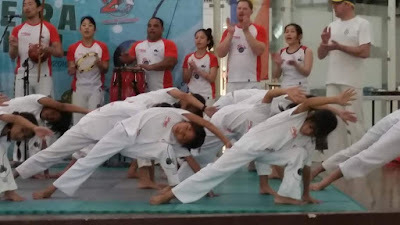 Mestre Torpedo has been promoting Capoeira in other regions of Asia such as Thailand (2005-2008), Taiwan, Indonesia, Maldives, Cambodia and Philippines (2009-2012). Mestre Torpedo is currently living on the Gold Coast. This is where he plans to continue his life's journey to share his passion for Capoeira in the hearts of Australians. ContraMestre Lobo (Jensen Chow), a practitioner of Capoeira for 23 years, was crowned the Asia Pacific Capoeira Champion by the Superliga Brasileira de Capoeira. He set up academies and has taught Capoeira all around Sydney- Avalon, Burwood, Beecroft, Chatswood, Dee Why, Hornsby, Killara, Millers Point, Maroubra, Mosman, Narrabeen, Penrith, Redfern, St Ives, Wahroonga, and throughout Asia- Bangkok, Jakarta, ‎Phnom Penh, Kuala Lumpur, Cebu and Manila. Many of those classes continue to this day. 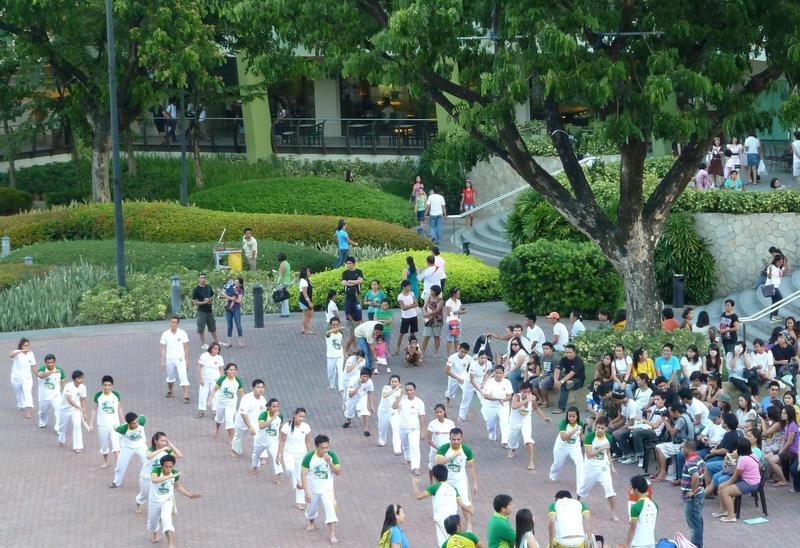 He has awarded the official Capoeira rank of "Instrutor" to 8 of his students, 7 in Philippines and 1 in Australia. ContraMestre Lobo’s introduction to Capoeira was during his year as an exchange student in Brazil. In 1996 through the Rotary Youth Exchange program, Jensen spent 12 months in the state of Santa Catarina. An old man told him of a Brazilian martial art that the African slaves invented that had music to it. That was enough to interest him and he began learning under Monitor Caroço, and some of Monitor Caroço's students (Sapo, Paulo Branco and Cabelo), in the city of Jaragua do Sul, Santa Catarina. Upon his return to Sydney, Jensen continued his training. He balanced Capoeira training with a University education: he completed an Accounting degree and a Law degree from University of Technology, Sydney at the end of 2001. He is a qualified Fitness Leader under the Fitness Institute of Australia. In April 2002, at the inaugural Asia Pacific Capoeira Championships, Jensen was crowned champion of the region. The Championships attracted participants from a number of different academies, and from as far away as Korea and Japan, and from all states of Australia. ContraMestre Lobo previously trained and competed in other martial arts competitions in Sydney, Australia to increase the awareness of Capoeira in the wider Martial Arts community. At the 12th International Sport Karate Association World Cup held in Sydney, Australia on 19th October 2003, Jensen placed 3rd in Musical Forms competition. At the National All Styles tournament in Sydney on 4th August 2003, competing against Martial Arts practitioners, from Karate, Kung Fu, Tae Kwon Do and Kickboxing, Jensen and Graduado Guerreiro were awarded second place in Senior Demonstration Competition. Jensen also competed at the NSW State Amateur Boxing Championships held at Sydney Olympic Park, Homebush on 4 Oct 2003 being eliminated in the semi final, and was going to compete in his first mixed martial art event in October 2003 (Shooto), but his opponent pulled out on the night with an injury. ContraMestre Lobo relocated to Cebu in February 2007 and is dedicated to teaching and spreading this wonderful art! In promoting the art in Philippines, ContraMestre Lobo and his team have appeared on all major TV stations, performed for many of the largest companies in the country and featured in "Pilipinas Got Talent" season 1. Our trainers have years of experience in the art of Capoeira, and are trained in anatomy, physiology, and nutrition. 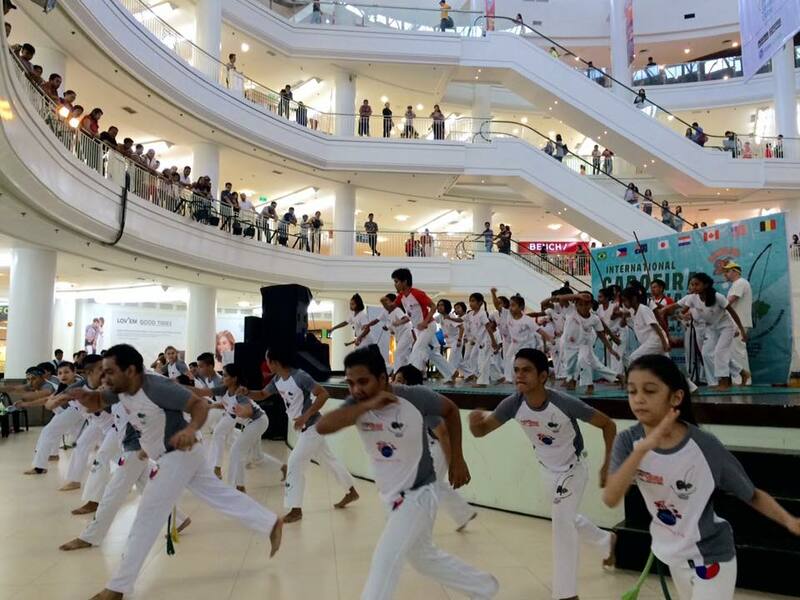 They understand that no two bodies are alike and will work with you to get fit and progress in the art of Capoeira. Below are our class times and address. Metrosports is open to the public, while our Singapore International School academy is only for students for that school. Corporate, Individual or Group private Classes are also available with Professor Jensen or our other coaches. Training only for Monitors and Instrutor levels. Training only for Monitors and Instructor levels. Our team has experience tailoring programs for corporate fitness and within gyms and educational institutions. We have an active schools and university program- our Coaches can tailor programs to fit with your Physical Education curriculum or as after school / co-curricular activity. Capoeira is a unique alternative activity that provides a full body workout catering to each individual's level of fitness and age. More than merely a physical workout, Capoeira also exercises the mind, develops rhythm, sharpens co-ordination, develops reflexes & participants will also learn the culture behind the art and the musical instruments and songs that are an integral part of the art of Capoeira.